Online users who have received the "LinkedIn You Appeared in Search this Week" email below, are asked to delete them. This is because the fake or junk emails are being sent by spammers. The links in the fake emails go to spam and phishing websites. fastdietlines[. ]world looks like it is parked at Namecheap. Anyway, the rest is valid. Report the domains, send complaints to the hosting company at where they are sitting. And the spam will stop in most cases. to the respective hosts, right now one is hosted at Psychz network and the other one is at Frantech - wich seems to not sanctioning that abuse cases. Towards Frantech/Ponynet - Forward your received mail - with the forwarding domain which points towards their IP - and make them aware that they host a resource advertised over mail-spam redirect. Should work also for Psychz and any other hosting companies once that 2 domains are again being banned. But Frantech/Ponynet needs a more stronger push with lots of evidence so they decide to ban that fraud customer. Perhaps it helps to write a mail to Voxility - of which Frantech is a customer. Anyway, you want abuse solved.. then write for each spot redirect an abuse mail and that for every single mail you receive. That works. YaY! Today is the 1st day in months that I have not received a single one. Someone has done good work. Thanks! 3 days no linkedin spam. Somebody did a good thing. Please help to stop this annoying spam mails. I receive 10-20 mails a week. Is there any solution available yet? Thanks anyway. Kind regards from Holland. Directs to a "Canadian Pharmacy since 2001". Tophouse[. ]su has now been changed to supplyonline[.]su. The rest of the redirects appear to be the same. View the headers, copy them, visit SpamCop.net (a Cisco service) and paste the headers in the box. 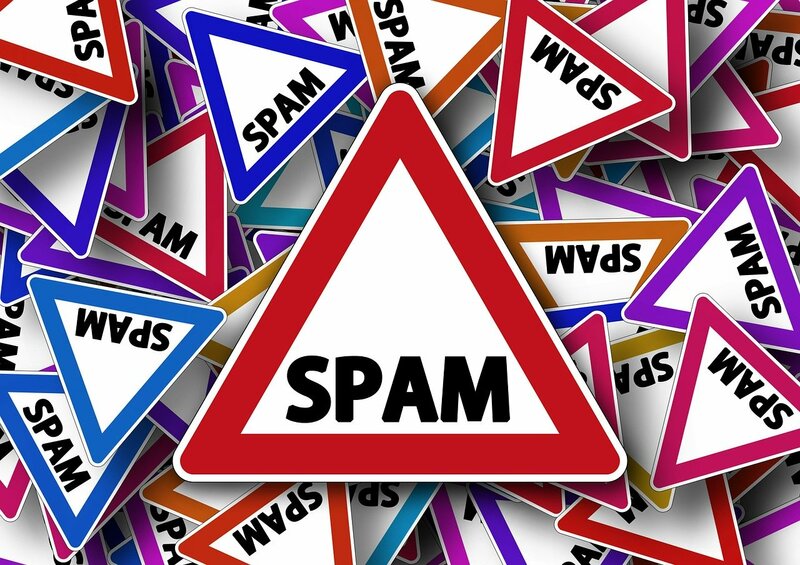 Click to have SpamCop analyze the headers and determine who to send reports to. Same here in Australia, Canadian pharmacy. Multiple Emails per day, all from different Email addresses with various numbers in the "You appeared in x search this week" title. Each Email received has a link, the link is different on each one (Same as how the Email address is different). Each is a compromised Wordpress site. All links have 4 redirects, the first redirect is a unique GET request. Tophouse[. ]su is running nginx webserver and all you see is the holding page. Fastdietlines[. ]world is hosted by SERVERIUS-AS. Tophouse[. ]su is hosted by SPACENET-AS. (SID: 2014170, Rev: 2, Severity: 1) categorized as "A Network Trojan was detected"
Logged as a phishing site with Fortinet. For the past week or so I&apos;ve been receiving 10-20 of these e-mails each day! "tophouse.su" - hosted on Russian provider "spacenet.ru"
If somebody could kindly identify the target domains of this spam (i.e. the domain names and IP addresses where the parasitic criminal is hosting his excr*ment) and list them here, it should be enough info to hit the sc*mbags hosting this parasite with a subpoena to reveal the spamming parasitic criminal&apos;s name and etc. This cr*p is constantly incoming now and it&apos;s bordering on a DDOS attack, this spammer is morphing the &apos;from&apos; address so it&apos;s difficult to block. It&apos;s hard to beleive Outlook spam filter can&apos;t block this directly. I mean they all have the same subject and we receive lots of them per day. Do they filter have some kind of heuristic to learn to block this annoying emails? I receive at least 10 of these bogus email a week. I have been deleting them, but I will report them now I have the link for it. Thanks. Only 10!! I&apos;m getting at least 4 or 5 a day. And the sending email domain is changing constantly so even blocking by domain doesn&apos;t stop the bl**dy things! Is there any solution yet to stop receiving these annoying emails? Recently been getting one or two, occasionally. Then it jumped to two or three regularly, now it&apos;s up to seven every single day. Been forwarding them to phishing@linkedin.com per the instructions on their website, but so far, not only no relief but it&apos;s gotten much worse. It is getting pretty annoying now. I am getting several fake linkedin emails per day. Time for someone to take this bugger out of the air! I knew immediately the plural Linked In "appeared in _ searches this week" messages were spam. I have never had a Linked In profile so I knew these were fake. A least my email provider automatically moves these to the junk mail folder. I&apos;ve been analyzing the headers deeply. It appears the originating IP address is spoofed as well as the FROM email address, obviously. So doing IP lookup on that is no good. You might be able to send an ABUSE complaint to the originating email server at best. All links in the email body go to the same URL. This URL gets redirected to "fastlines-diet.world". I&apos;ve also had some at other similar URL names. They all seem to be registered at NAMECHEAP. I&apos;ve sent ABUSE complaints to NAMECHEAP and to those URLs (which is probably a mistake as is just verifies my email address to them), but these ABUSE complaints will only get those URLs blacklisted and won&apos;t stop the SPAM from being sent with SPOOFed email address and originating IPs. What else can I do to help? I&apos;m quite tech savvy. If there is other info I can provide to you I would be happy to start this fight on all SPAM. Thank you, the information you have provided is very helpful. Thanks for this. I thought maybe I was getting it as a result of recently starting to apply for jobs. Yes mee too after searching for jobs. I&apos;m receiving 5 to 10 LinkedIn spam e-mails. All of them come with the same message from the same LinkedIn name but with a different email... I&apos;m getting frustrated. Many every day! Please ISPs, delete these entirely, don&apos;t send them to junk mail as occasionally something good is in Junk folder. STOP THIS! What happens if a link in these is clicked on? It opens up two webpages. Do they automatically download anything? DON&apos;T, as they will hijack the browser and splatter pay up your pc; has been hijacked page. I clicked "unsubscribe" just to see what would happen and it took me to Canadian Pharmacy, and I think they were selling Viag**. I don&apos;t think anything was automatically downloaded. I&apos;m reporting each one I get as spam or phishing, and I notice each one is being sent from a different sender, so blocking doesn&apos;t work. Getting 6 of these or more in each 24 hour period starting just recently. No, nothing is downloaded automatically. "You appeared in 1 search this week"
"You appeared in 2 search this week"
"You appeared in 3 search this week"
"You appeared in 4 search this week"
"You appeared in 5 search this week"
"You appeared in 6 search this week"
"You appeared in 7 search this week"
"You appeared in 8 search this week"
"You appeared in 9 search this week"
I&apos;m getting all of these up to five and six times a day. I&apos;ve tried without success to use rules to have them automatically deleted, but somehow they keep getting around whatever rule I try no matter how I set it up. Very frustrating!!! Yeah. The unsubscribe links all seem to go to hijacked wordpress sites. But receiving them 10 times a day is becoming very tiring. They appear in spam, but that makes it harder to add a mail rule to delete them automatically. I&apos;m starting to forward each one I get to abuse@outlook.com. Let&apos;s see what they can do with them. Mine go directly to spam as well, but it is still a pain to have to delete them. I wish I knew how to set a rule to eliminate these, but nothing I try works.